As a Doctor of Optometry, part of my commitment to my patients is ongoing professional education. As technology and the world around us changes, I have to keep up-to-date, because I provide the best care possible for your eyes. Our office takes pride in our state of the art facility and keeping you up to date with the best in lens designs, materials and fashion eyewear. I am a graduate of the University of Florida. I have been in practice for over 30 years. 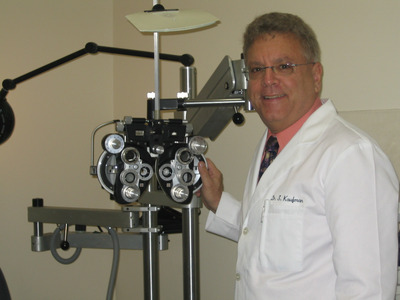 I was a President of the Central Florida Optometric Society and Palm Beach County Optometric Society. I am currently a member of the Florida Optomeric Association, the American Optometric Association and Southern Council of Optometrists. For the past five years I have served as the pac treasurer for the Florida Optometric Association. In addition I have served as the chairman of the board for the Advisory Council of TLC laser center and I currently serve as an advisory board member for Millenium Laser Eye Centers. I am also a founding board member for Sunshine Eyecare Alliance which is a independent optometric practice association in Florida. I am originally from Chicago Illinois and moved to Florida with my parents at the age of 16 where I attended Miami Coral Park High School and then went on to Universtiy of Florida and Southern College of Optometry in Memphis Tenn. I am married with two children. With my free time I enjoy fishing and sports. I am an avid Miami Dolphin fan and season ticket holder for over twenty years. Come into our Boynton Beach eye clinic and enjoy a variety of interesting sports memorabillia. 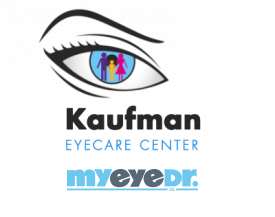 Meet the rest of our eye care team here . . .